Are you having trouble picking out the right holiday gift for the gun enthusiast in your life? It’s understandable. Just what in the heck do you get for the dude that has everything, anyway? 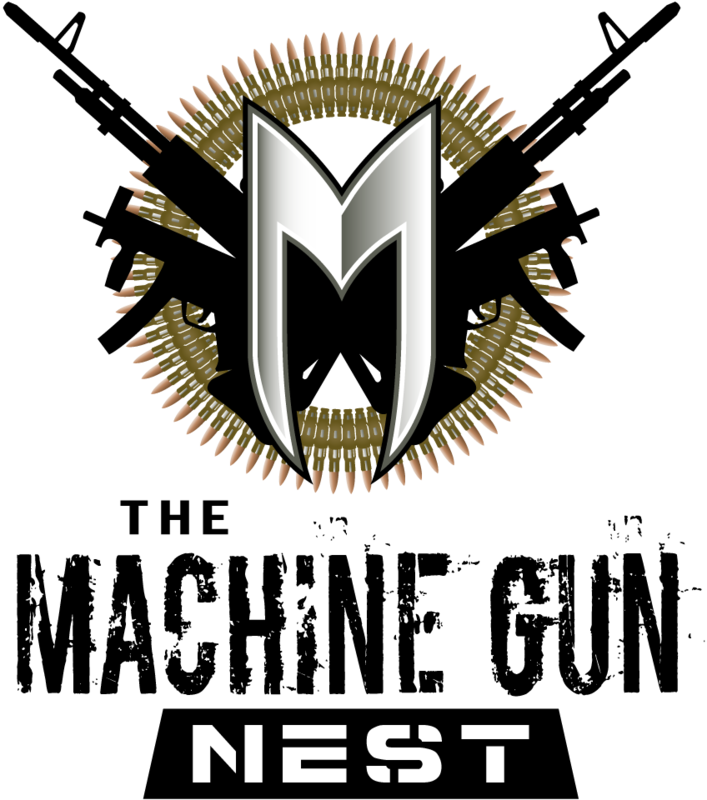 Well, The Machine Gun Nest is here to help you out. At our Frederick indoor shooting range, we are featuring a TMGN Staff Favorites List to use as a holiday gift guide for the special shooter in your life. Just swing on by anytime to pick one up for yourself — and hey, you might as well pick up a handy Machine Gun Nest Gift Card while you’re at it — and make your shopping easier this holiday season. Well in that case, it’s time to get a new gun. Maybe the special guy in your life has had an itch to try a new type of handgun. Maybe he’s been wondering if a new rifle will make all the difference when the time comes for his next hunting trip. Well if that’s the case, then explore a few different options for him. Check out our FFL sales right here at TMGN. Or better yet, bring him down to The Machine Gun Nest to browse our gun rentals so he can try one on before he buys it! Every dedicated gun owner needs a tactical flashlight to accompany their gear. There are many different types of gun attachments and military flashlights which can make all the difference. From Fenix to Phantom Lights, there is no shortage of options readily available for the nighttime shooter in your life. Every responsible gun owner needs a way to safely and securely store their firearms out of the reach of children. That’s why one of the top things on your gift list should be a handy gun safe for shotguns and rifles, or a much more space-efficient pistol safe for your handguns. Fort Knox makes some handy handgun safes which they sell on Amazon, and even your local neighborhood sporting goods stores should have an ample selection of gun safes that are big, small, and in-between. Responsible gun ownership begins with safety, and nothing is more safe than a safe! Part of owning a gun is having to care for and clean your weapon on a regular basis. No gun owner is complete without an efficient and reliable gun cleaning kit, complete with cleaning solution, wire brush, rod cleaners, and more. Stores like Cabela’s offer a wide range of gun cleaning kits for a variety of different makes and models, from Otis to Herter’s. Cleaning your gun is not only responsible, but it also allows it to remain in pristine condition for much longer. For the gun owner in your life who seemingly has it all, a cleaning kit might be a good stocking stuffer. What more could a guy want? Well, how about some top-of-the-line firearms training to give them the certification and experience they need to own and operate several different types of guns. At The Machine Gun Nest, we offer multiple firearms training classes on a regular basis, from the required Maryland HQL Course to a holster draw and reloading course for semi-automatic handguns, our safe and professional instruction has it all. Your guy can learn advanced techniques, sharpen his target shooting, and learn how to be a more successful and responsible gun owner. Finally, for the guy who isn’t all about the material things, what better gift could you give than the gift of a unique experience? In Frederick, the best experience that you can give is a trip to The Machine Gun Nest. Revered as Frederick’s premier indoor shooting range, we offer simple hourly rates, membership rates, firearm rentals, special instruction, and a whole lot more. Whether your guy is coming to the indoor shooting range for the first time or the 50th, shooting in a safe, exciting target environment never gets old. Swing by today to pick up your gift card, or ask about our TMGN Staff Favorites List to get more holiday gift ideas for the gun lover in your life.